After the long week of below normal temps, this weekend will be a pleasent change for many in the midwest. Look for temps to be about 5 degrees above normal throughout the midwest this weekend. 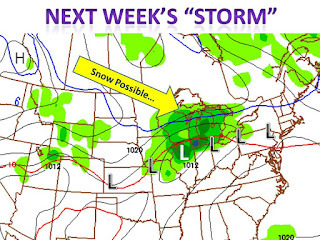 Then later next week a weak storm will crawl out of the Rocky Mountains and drift up towards the midwest. 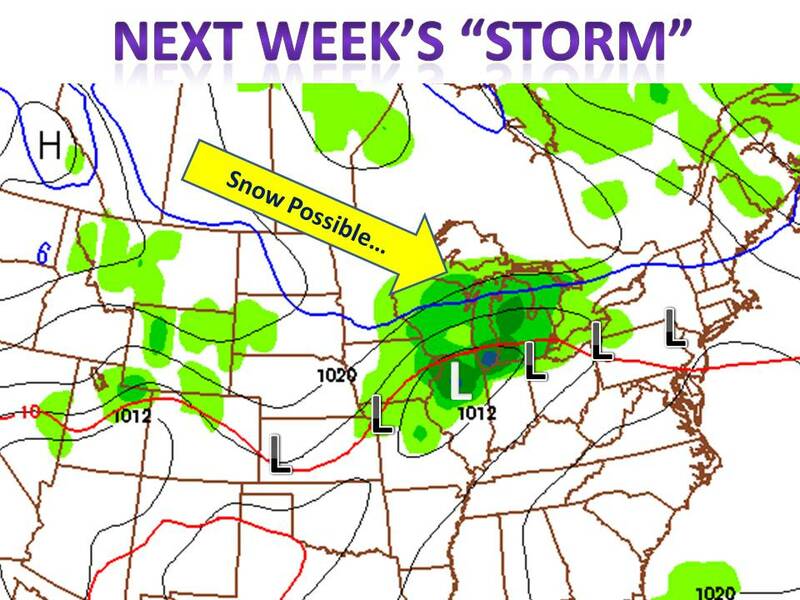 The storm should be around the Chicago area wed at noon. Rain showers will break out in IL and WI and continue east throughout the week. Meanwhile, the is a chance for snow to break out in northern wisconsin and northern michigan. Although the chance is low and a lot has to come together for this to happen, it is still possible and about a 30% chance as of now. Even so, any snow would likely melt on contact, but it is a sure sign winter is right around the corner. Keep it here to midwestweathertalk for updates!